In his latest essay, Fjordman uses Bruce Bawer’s new book as a jumping-off point to present his own take on the demonization of Islam-critics in the aftermath of last summer’s massacre in Norway. I have previously published a brief review of Bruce Bawer’s book The New Quislings: How the International Left Used the Oslo Massacre to Silence Debate About Islam. This time, I will take a more in-depth look at some of the major issues involved in this case and at how the mass media have often mishandled the Breivik case. Prior to the 2011 terror attacks, Bawer had received little attention from the Norwegian mass media, despite living in that country as a noted author for years. Knut Olav Åmås of Aftenposten was attacked by other journalists merely for mentioning his international bestseller While Europe Slept: How Radical Islam is Destroying The West from within in modestly positive terms. That book was otherwise largely ignored by the Norwegian press. The Marxist activist Marte Michelet commented in the newspaper Dagbladet that Bawer had been little-known in Norway since his books were not widely translated or discussed there. She thought this was a good thing. People like him should be ignored because their writings represent ridiculous “racist fantasies.” Bruce Bawer retorted that he couldn’t possibly be a racist since he voted for Barack Hussein Obama as US President in 2008. Bawer describes reading Breivik’s manifesto. The first half of it seemed surprisingly thoughtful and coherent for a mass murderer. That’s because he hadn’t actually written this part of it himself: it consisted of quotations from a large number of different writers whose works could be found publicly available on the Internet. Breivik’s text was a “veritable phone book of names” of people that are mentioned or cited, including Mahatma Gandhi, Mark Twain, George Orwell and John Locke. Bawer was mentioned there indirectly in some of my own essays, for instance when describing the shameful appeasement displayed by Stoltenberg’s government during the Mohammed cartoons riots in 2006, or the noted Marxist author Dag Solstad’s open disdain for free speech. What caused Bawer to write his book was the reaction of the ruling Multicultural elites to the 2011 attacks. Breivik’s unspeakable atrocities in a single day gave them a chance to reestablish their authority, which had been slowly eroding for years, and suppress annoying dissidents. Far too often, they eagerly grasped this opportunity with both hands. In the weeks and months after the terror attacks, the only possible choice for individuals who had been critical of Islam or mass immigration was to repent, now, or face public ostracism. Simen Ekern in Dagbladet quickly warned that we should not ignore the “ideological mudbath” from which Breivik allegedly emerged, but must focus on his “role models” who are spreading unfounded fear of Islam. In the same newspaper, journalists Astrid Meland and Gunnar Thorenfeldt wrote an article entitled “They were Breivik’s heroes,” illustrated by photos of Robert Spencer, Serge Trifkovic, Aayan Hirsi Ali and Bat Ye’or. Others mentioned in this article were Bruce Bawer, Walid Shoebat, Pamela Geller, Paul Belien, Diana West, and myself. Not one of these individuals has ever met Breivik. Spencer was accused of being “an extreme Islamophobe” spreading hatred against specific ethnic groups and religions. Trifkovic pointed out that being quoted in this confused manifesto, along with Bernard Lewis, Rudyard Kipling, Friedrich von Hayek, Roger Scruton and many others is an unpleasant oddity, but also noted that plenty of things can affect a confused mind. Notice that these two high-profile writers didn’t merely suggest that those who are warning against Islamic aggression are just as dangerous as Muslim Jihadists. No, they indicated that Islam-critics are more dangerous. That was not a slip of the tongue. Similar sentiments were voiced in the mass media by other commentators. In 2006 Jostein Gaarder published a controversial op-ed in Aftenposten which denounced “Zionist terrorists” and said that Israel has “raped the world’s recognition.” He wrote this at the same time as the city of Oslo, where he was born, was experiencing an escalating wave of very real rapes, some of them committed by Muslim immigrants. This happened just a few months after widespread Islamic aggression against Norway due to the Danish Muhammad cartoons, which had been reprinted by a tiny Norwegian newspaper. Gaarder received much criticism for this text, but also strong support from others such as authors Edvard Hoem and Anne B. Ragde. Gaarder became a wealthy man by writing the novel Sophie’s World, which doubles as a guide to the history of Western philosophy and has sold more than 30 million copies in multiple languages. Yet he apparently understood very little of what he was quoting, since he fails to grasp that every single achievement of Western thought is now under threat by the same Islamic forces that are bragging about their plans to destroy Israel. In the op-ed he argued that the state of Israel “will have no peace before it lays down its arms.” The first rule for dhimmis — discriminated non-Muslims living under Muslim rule — is that they must always be unarmed and submissive to their rightful masters. Even members of the Jihadist terror organization Hamas have stated that they may be willing to accept some Jews living in their society, as long as these accept their subjugation and inferior status vis-à-vis Muslims. Muslims may not like Jews in general, but they first of all hate armed Jews. Europeans should take note that the same basic rules apply to other non-Muslims as well. When Gaarder argues that Israelis “will have no peace before it lays down its arms,” he is doing exactly the same thing as the Jihadists who demand that non-Muslims lay down their weapons and accept Islamic rule or face annihilation. He doesn’t seem to understand or care about the fact that this submission applies equally to his own family and nation, too. Islam does not mean peace but submission; submission to Allah and Muhammad’s example by Muslims, and submission to Islamic rule by everybody else. Sharia law is essentially a recipe for a world of eternal serfdom. Founded in 1959 by a group of Norwegian researchers, prominent among them Johan Galtung, the Peace Research Institute Oslo (PRIO) has now become an independent research institution that also conducts graduate training and is engaged in the promotion of peace through conflict resolution, dialogue and reconciliation. Hilde Henriksen Waage is a Senior Researcher at PRIO and a Professor at the University of Oslo. With her anti-Israeli profile, she has been accused of acting as an apologist for terror organizations such as Hamas in the mass media and has compared the Muslim Brotherhood and similar organizations to devout European Christians. “Peace Professor” Johan Galtung found himself embroiled in a controversy in April 2012 due to statements that could indicate that Jews and Freemasons run the world. He even recommended reading the famous forgery about a Jewish conspiracy known as The Protocols of the Elders of Zion, so beloved by the Nazis. He also hinted that the Israeli intelligence agency Mossad may have been behind Breivik’s massacre. He earlier flirted with the idea that the US Government was behind the terror of 9/11 in 2001. These remarks were seen as so outrageous that they triggered negative reactions, but that does not mean that Mr. Galtung has no supporters. A founder of so-called “peace and conflict studies,” he is known for his sometimes controversial statements. He has been accused of acting as an apologist for brutal and repressive Communist regimes during the Cold War, but seems to hate the USA and capitalism. Galtung looks forward to the possibility that Europe could become Islamic. This could bring many positive things to the continent and dilute that pesky individualism, of which there is still too much there, or so he thinks. Yet in his view it is crucial that native Europeans quietly accept this as inevitable and do not attempt to resist the Muslim takeover of their continent in any way, since that could trigger Islamic radicalization. “Peace” to him appears to be identical to submission, just as it is in Islam. Eivind Rindal is one of the survivors from Utøya who along with 11 others managed to escape from the island in a rowing boat that was fired upon by Breivik and sank when it reached the mainland. He claims that “The discussion around Breivik has been too concentrated around his mental state and not the right-wing extremist network that triggered and inspired him.” Rindal suggests that writers, among them myself, who have written about Islamic aggression in Europe and elsewhere share a moral responsibility for creating Breivik the terrorist, and has indicated that the terror attacks of 2011 would not have happened if Islamophobic websites did not exist. On display here we see a glaring double standard: If people who shout Islamic slogans or cite the Koran commit acts of terrorism, we are told that this has absolutely nothing to do with Islam. Yet if a person quotes writers who do not agree with him and use this to justify his acts of terror, these writers are then blamed for his actions. Terror has absolutely nothing to do with Islam but a lot to do with so-called Islamophobia, or so we are told. A similarly deadly terror attack somewhere else would have caused a lot of grief and pain for those involved, but might not have triggered the near-existential crisis that it did in Norway. Previously sheltered Scandinavian countries have had a tendency to see themselves as immune to the ills that befall the rest of the world. Bruce Bawer says that Norway’s left wing political elite sees itself as a beacon of virtue, which by implication means that those who disagree with them have to be evil. As a consequence, ideological dissidents were the only ones who were seen as outside of the circle of universal peace, love and the brotherhood of man after 22/7. The Labor Party has a self-image as “those who built the country.” They are no longer as dominant as they were in the 1950s under PM Einar Gerhardsen, who came to be seen as “the father of the country,” but they are still powerful, and receive support from labor unions. It’s possible for people from their youth league AUF to make a direct transition to a political career, having never known anything other than party politics throughout their adult life. Bawer further explains the cultural pressure for conformity that is implied in the so-called Jante Law, which was defined by the author Aksel Sandemose in 1933. Briefly summed up, it stipulates that you should never believe that you are special, and describes a mentality that de-emphasizes individual effort and originality. Jørgen Sandemose, son of Aksel and a thinker operating within the Marxist tradition, now promotes free speech as essential. He also suggests that the censorship imposed by the ruling elites, some of the Social Democrats, on ordinary people regarding mass immigration contributed to the mental climate in which Breivik operated. Bruce Bawer respects some of the contrarians Norway has fostered, for instance the conservative novelist Sigrid Undset. She was awarded the Nobel Prize for Literature in 1928 and was strongly opposed to the Nazi regime both before and after they occupied her country. This was in sharp contrast to another Nobel laureate, Knut Hamsun, a gifted writer who was a political idiot at best. His notorious pro-Nazi statements during WW2 made him a controversial figure for generations after his death. Bawer also admires the oceanographer, statesman and humanitarian Fridtjof Nansen, one of Norway’s most prominent polar explorers next to Roald Amundsen. Bawer is largely correct in suggesting that Social Democracy is regarded by many intellectuals as “goodness set in a system,” which in an Orwellian sense implies that dissenting voices in some vague way must represent evil. He is also correct in pointing out the absurdity that a long-time Communist activist such as writer Magnus Marsdal, whose book FrP-koden was used to attack the right-wing Progress Party, is treated as a more mainstream voice by members of the press than those who desire less state interference in people’s daily lives. The PP represents a far larger share of the voters than his totalitarian comrades receive, yet quite a few journalists treat Marsdal as less of an extremist than they do members of the Progress Party. His message seems to be that Islam is not the enemy; critics of Islam are. During a debate on “Dagsnytt Atten”, a major news program at NRK radio, Marsdal went far in arguing that stated fears of growing Islamic influence should be curbed after Breivik. The Progress Party under its current leader Siv Jensen has issued some rather muted warnings against Islamization and problems caused by rapid mass immigration, but even this is too much for some people to accept. Petter Nome, a well-known television personality with strong left-wing sympathies, attacked the Progress Party for allegedly nourishing unfounded fear of others. “Jensen is not a supporter of violence. Neither are most of her colleagues in populist and right wing parties in Europe. But they should not be left with their shock and swollen faces. They carry profound responsibility for actively creating a climate where hate and violence appear as options for their most impatient followers.” Nome later softened his remarks after public reactions forced him to do so. Shortly after the terror attacks, the political establishment launched a full-frontal assault on critics of Islam, thereby helping to create a repressive atmosphere of fear and public ritual shaming of political dissidents. The vicious name-calling and campaign of intimidation against critics of Islam or mass immigration didn’t stop even after it gradually became clear that Breivik had probably acted alone when he carried out his horrible attacks. The Progress Party, misleadingly dubbed “far right” by foreign newspapers such as the Sydney Morning Herald and the Irish Times, suffered its greatest losses in years during the local elections in September 2011. When its leaders sometimes tried in vain to appease those who verbally assaulted them, this only made them appear weak. The Labor Party had grown concerned due to the steady growth of the PP, which seemed to have become a serious challenger. Labor suffered in the opinion polls, in no small measure because many ordinary citizens were fed up with Multiculturalism and — with good reason — perceived the ruling parties to be too soft on immigrant crime. In response to this rising challenge, the then party secretary of the Labor Party, Martin Kolberg, declared “war” on radical Islam in 2009 and swore to do everything in his power to crush Muslim hardliners. Just two years later, Labor proceeded to shamelessly attack the Progress Party for their alleged anti-Islamic rhetoric. Those warning against the ongoing Islamization of Europe have usually been labelled “Eurabia propagandists” or some variation thereupon. The weekly newspaper Morgenbladet, for example, claimed that reading Bat Ye’or’s book Eurabia: The Euro-Arab Axis from 2005 is like reading the definition of a conspiracy theory. This despite the fact that not a single journalist to my knowledge has ever managed to pinpoint any factually incorrect information in what Bat Ye’or writes about relationships between the Western world and the Islamic world. At most, one might argue that she exaggerates the importance of the Euro-Arab or Euro-Mediterranean networks and the meetings she describes, but they are unfortunately very real. She has never claimed to have invented the word “Eurabia” for the combination of Europe and the Arab world, either — the term was used in a journal already in the 1970s. Bat Ye’or soberly describes the way in which various obscure European commissions, committees and such have helped smooth the way for the Islamization of Europe. By studying numerous little-known but publicly available agreements produced by diplomatic meetings, conferences and EU conventions over recent decades, she found an unsettling pattern of strategic alliances between European officials and their Arab-Muslim counterparts taking place under the umbrella of something called the Euro-Arab Dialogue. This dates back to the 1970s. After the oil embargo by Arab states in 1973, which was an economic shock to the West, Western European leaders opted for a policy of appeasement of the Islamic world and distanced themselves from Israel. This was in part due to Muslim pressures and the threat of possible Islamic terror attacks, beginning with Palestinians. Her writings are full of footnotes and source references, and are if anything slightly too academic for the tastes of many potential readers. In her 2011 follow-up book Europe, Globalization, and the Coming of the Universal Caliphate, she analyzed trends that are leading to the gradual Islamization of Western civilization. Here Bat Ye’or highlights key role played by the powerful Saudi-sponsored Organisation of Islamic Cooperation (OIC) in this process, working at all levels with leaders in Western nations from the EU to North America to implement restrictions on the criticism of Islam in their countries and to remove obstacles to continued Muslim immigration. Bruce Bawer says a few words about his disagreements with the commentator and blogger Andrew Sullivan about whether or not Breivik is insane. According to Bawer, “we don’t judge the sanity of an action by its premises but by the actor’s expectation of its results. Since Breivik’s means would not lead to his desired ends, he was not only a bloodthirsty monster but obviously insane.” Nevertheless, while the main focus of his book is on Norway, Bawer might have benefited from placing these events more firmly within an international context. Any concern the native population might have about a mass immigration slowly turning them into aliens in their own lands is randomly dismissed as “European bigotry.” This mirrors the grossly caricatured view you can encounter in certain American circles of Europeans either being “Nazis” or “surrender monkeys.” The very possibility that Europeans have perfectly legitimate concerns over the future of their nations is simply ignored. Bawer writes about my stepping forward from anonymity shortly after Breivik’s massacre had taken place. He states that he knew me from several years back and that we had met socially a few times in Oslo in addition to exchanging emails. This is correct. Bawer was friendly towards me and even invited me along for the Pim Fortuyn Memorial Conference on Islam in The Hague in the Netherlands in February 2006, where I met some international writers such as Robert Spencer, Andrew G. Bostom, Ibn Warraq, Bat Ye’or and others for the first time. I knew Spencer, Bostom and others via the Internet but had not met them in person prior to this date. Bawer indicates in his book that he liked me personally, stating that I was friendly, “obviously very widely read” and knowledgeable about many aspects of Arabic culture and about Islamic history. I was highly critical of Islam, but at the same time did not say bigoted things about individual Muslims as human beings. Perhaps I do display a touch of arrogance at times. It’s not the first time I have been accused of it, so there could be a grain of truth to this. With respect, however, the claim that I thought my writings would “save Europe” is quite simply not accurate. In fact, my critics have on a number of occasions called me “dystopic” because I have sometimes questioned whether anything at all can save Western civilization in its traditional form as it exists today. I worked for a while in the field of psychiatry, and I have noticed that among suicidal patients there are those whose suicide attempts are mainly a cry for help. Those patients can often be helped. One also encounters people who really and truly want to die. If they are absolutely determined to kill themselves, they can be very hard, if not impossible, to stop. It’s still difficult to determine whether the modern West belongs in the first or the second category. He regrets seeing my “being tarred mercilessly by Norwegian media” in the aftermath of 22/7 because some of my essays had been quoted without my knowledge or approval by a person I had never once met, and that after I stepped forward voluntarily, the police responded by treating me virtually as an accomplice to mass murder. Shortly after the attacks, a man named Øyvind Strømmen published a book called Det Mørke Nettet (“The Dark Net”) about the alleged evils of anti-Islamic websites on the Internet, with a special emphasis on me. He never deviated even slightly from the new party line, which made him a darling of the mainstream media. Virtually overnight he went from being totally unknown to an esteemed “expert,” consulted by major media outlets or national authorities on right-wing extremism and named freelance journalist of the year in Norway for 2011. He sold many books by claiming that I am a “Fascist” leading a growing European movement with roots back to the Nazis and suggested, with almost nothing in the way of evidence to back up his claims, that there are many anti-Islamic “extremists” out there who are potentially violent and might pose a serious threat to society. Mr. Strømmen didn’t receive very many critical questions from a largely sympathetic press over such allegations. Bawer is right to point out Strømmen’s obscurity and rise to fame on the back of Breivik. It must be said in all honesty that the majority of the population in my own country had not heard of me, either, prior to these events. Mine was a well-known name in the so-called blogosphere before this date, but political blogs are read by a vocal minority. Strømmen, on the other hand, was practically unknown even there prior to Breivik. As it happens, the only time I had ever encountered his name was when he was linked by a major American blog called LGF, whose owner Charles F. Johnson used to be critical of Islam until he suddenly decided late in 2007 to switch sides, and over a period of two years attacked all of his former allies, calling them racists and hate-filled bigots. Those former allies included me as well as many others, from Robert Spencer to Diana West. Johnson quoted Strømmen a number of times in an attempt to prove his claims, which had little or no factual basis and often amounted to mudslinging and character assassination. The explosion began after the Counterjihad Conference in Brussels in October 2007 where many people from both sides of the Atlantic participated, myself included. After Breivik’s attacks, Johnson posted statements at LGF noting that he had deleted all of my posts, which is rather totalitarian, and rejected any association with evil people such as Robert Spencer or Geert Wilders. He specifically mentioned Wilders, who lives with constant Islamic death threats. These days Johnson attacks pretty much everyone to the right of Hillary Clinton, including the Republican presidential candidate Mitt Romney. There may be many different reasons why people suddenly decide to switch sides, from personal issues to opportunism, or because somebody bribes and/or blackmails them into changing their allegiance. I have no idea why Charles Johnson did so back in those days, and it hardly seems to matter, since his website as well as his personal credibility have all but imploded since then. But I was a little bit disappointed with Bawer’s behavior. Bawer stated in public in late 2007 that the Flemish party Vlaams Belang in Belgium, which had hosted this very successful Counter-Jihad Conference, are “a bunch of little Euro-fascists.” In 2009, in an otherwise decent article for City Journal, a high-quality magazine based in New York which carries the articles of many sensible writers such as Heather Mac Donald, Bruce Bawer tarred the VB with “Nazi” accusations. It’s not the only time he has done so. This has real consequences for honorable people such as the Flemish writer and Christian conservative Paul Belien, whose wife has been a member of the Belgian Federal Parliament for the Vlaams Belang for years, and also for brave anti-Islamists such as Filip Dewinter from the VB. The author is at his best when he tells the story of the days following Breivik’s terror attacks, when the Norwegian political and media elites were busy reaching out to imams and visiting mosques, while at the same time attacking those who were seen as critical of Islam, Multiculturalism or the ongoing immigration policies. In the Danish weekly Weekendavisen, Klaus Wivel notes that Norway singles itself out: In no nation in the world are more defendants declared insane. He also notes that summoning many Islam critics will allow Breivik’s lawyers to “hold a kind of alternative trial in the courtroom,” with ABB as an extension of their ideas. As Bruce Bawer wrote in FrontPage Magazine, “Other countries have put critics of Islam on trial, one at a time. But now pretty much every prominent critic of Islam in Norway will be ushered into an Oslo courtroom, presumably to account for their views on Islam, the absurd pretext being that their testimony will contribute in some way to the defense of a mass murderer whose guilt has already been established beyond all doubt,” to implicate all of them in Breivik’s murderous actions in order to discredit forever the criticism of Islam. 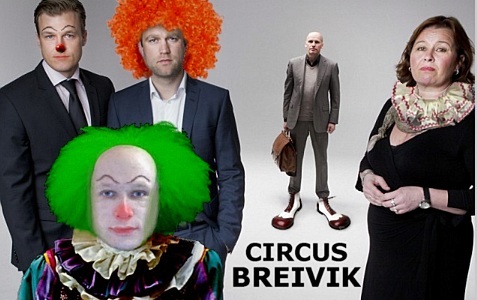 Anders Behring Breivik has a total of four defense lawyers, all presumably sponsored by the taxpayers: three men — Geir Lippestad, Tord Jordet and Odd Ivar Grøn — plus one woman, Vibeke Hein Bæra. Less than a week before the beginning of the trial, the defense team made a series of photos which made them resemble the glamorous stars of a major television show. They were justly criticized for this. It’s bad enough that Breivik himself seems to treat the trial as one giant reality TV show; it becomes worse when his lawyers do so, too. Bawer’s book The New Quislings was panned by critics in Norway when it came out. This was predictable, since he doesn’t present the elites of that country in a very flattering light. He’s also been criticized for inaccuracies. For instance, he mentions that the colored teenager Benjamin Hermansen was killed by neo-Nazis in Oslo in 2001 and that this incident triggered large candlelight processions throughout the country. This was perhaps lawyer Geir Lippestad’s most high-profile case before the 2011 massacre. Yet although over the years “innumerable Norwegian teenagers have been killed by Muslims,” this rarely triggers the same kind of reaction because it doesn’t make the natives feel that their own innate goodness is being called into question, according to Bawer. This statement has been used by critics to show that Bawer is a crank who should be ignored, yet the underlying reality he mentions is largely correct. Thousands of white natives have had their lives damaged or destroyed by immigrants in brutal robberies, muggings or rapes, and occasional murders, but for some reason this almost never seems to trigger any response from the many self-proclaimed anti-racists. Are white people fair game? Bruce Bawer indicates that he understands that the use of the term “Quislings” in the title aimed at Norway’s current governing and media elite as highly insulting — and that is precisely how he means them to take it. Vidkun Quisling was a Norwegian politician whose collaboration with Nazi Germany during its occupation of Norway during World War II established his name as a synonym for “traitor.” After the liberation in May 1945, he was found guilty of treason and executed by firing squad on 24 October 1945, being at that point one of the most universally loathed Norwegians who had ever lived. The Nazi-inspired party Mr. Quisling headed, Nasjonal Samling, never got more than about 2% of the votes even during the economically troubled 1930s. While collaborators existed, most people in occupied Norway and Denmark simply did not like Nazism. Sweden’s role as a neutral state during WW2 was highly complex and remains controversial to this day. On the positive side, the country served as a place of refuge for thousands of people from other nations, including the Jews who were rescued from Denmark. Swedes also gave substantial aid to neighboring Finland when it was invaded by the Soviet Union in November 1939. The Finns lost some territory, but fought so hard during the Winter War that they earned the respect even of Stalin, which helped Finnish authorities maintain some semblance of independence during the Cold War under the leadership of pragmatists such as President Urho Kekkonen. On the negative side, Swedish authorities collaborated with the Nazis on more than one occasion, and there were probably more active sympathizers with Nazi ideology in Sweden than in neighboring Scandinavian countries. One of them was the later famous Swedish film director, writer and producer Ingmar Bergman, who saw Adolf Hitler speak in 1936. “Hitler was unbelievably charismatic. He electrified the crowd,” Bergman later admitted. Perhaps some of the dripping sense of guilt we detect in some of his films can be traced back to these sentiments. Some of the points Bawer wants to make are understandable. For example, he says that Nazism was in fact national Socialism with an emphasis on a strong state, propaganda and conformism, elements that are arguably present today. It is also true that while some of the current political or media elites may feel insulted by comparisons with Quisling or the Nazis, they don’t hesitate in using similar comparisons themselves about others whenever this suits them. On the 30th of July 2011, Aftenposten, the dominant newspaper in the Oslo region, ran a major article sliming well-known critics of Islam such as Robert Spencer and Bat Ye’or where I (Fjordman) was compared to the Nazi leader Vidkun Quisling plus well-known neo-Nazis, including several convicted murderers. Coincidentally, that same newspaper was once notorious for its own friendly stance towards the Nazis. 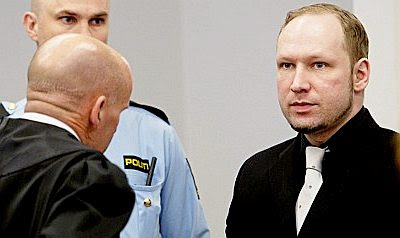 Aftenposten claimed that “Anders Behring Breivik has become the first terrorist of the Eurabia ideology.” They described a “third wave” of right-wing extremism after traditional Nazism, with personalities such as Bawer, Robert Spencer, Bat Ye’or (Gisele Littman), Daniel Pipes and Melanie Phillips, the last three being Jews. Although I realize what Bruce Bawer wanted to achieve by choosing the title The New Quislings, it may not have been a wise or effective choice. Although some fruitful parallels can be drawn with the 1930s and 1940s, it is at least as useful and accurate to compare how many left-wing groups, including members of the Norwegian Labor Party, behaved towards Communist dictatorships during the Cold War, and how some of the same groups or organizations are appeasing Muslims today. I will revisit that topic soon. Seeing this name, Aayan Hirsi Ali associated with nazifascism, Breivik craziness and example of racism make me angry. Aayan is one of the most reliable sources about islam since she lived in Islamia, she is a former-muslim so she knows very well about what she talks. But to leftist the important is 'tollerance at any cost'. A thing i noticed about leftist, is that they tend to favour blacks over everybody. But if a black (like Aayan) integrates with the new culture and show cares and concern for it, the skin colour doesn't count nothing. A black criticize the bad action of another black? Well, is racist and a denier of his origins. Maybe because we saw how they act? how they refuse to integrate? how they force their culture in our house? Oh, the Janteloven. Despite being italian, i lived following my little janteloven, created by myself. I didn't knew it existed. When i discovered it (a italian immigrant that live in scandinavia called it 'cursed Janteloven'), i studied it and felt scared. In a way the janteloven saved me, because it has made me understand my mistakes, but is still true that it is doing a lot of damages in norway. I'm also writing a story where a couple of norwegian guys, after being brainwashed for many years, refuse the janteloven and learn to stand up. About Siv Jensen, time ago i read an article about her. This article claimed that she was insulting immigrants, and there wan a link to this article, So i read even the accused article. Siv Jensen never insulted immigrants. She said that immigrants shound learn language, integrate and accept laws of the new country. I don't see where this is insulting. 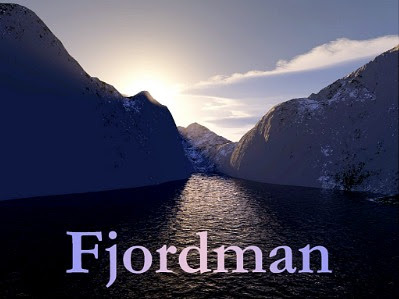 More well written, thoughtful work from 'Fjordman'. In the end Breivik is achieving exactly what he intended, to bring the issue of Islamic conquest to the fore of public discussion. And the useful idiots in the media, and useful PC politician idiots, are doing all the leg work for him. The useful idiots are trying to excuse their actions (and advance their own agenda) by crucifying those they dislike (such as Fjordman). ... the irony (if this could be called irony) is that all the while those same power brokers are accomplishing exactly what Breivik wants. These days Johnson attacks pretty much everyone to the left of Hillary Clinton, including the Republican presidential candidate Mitt Romney. Did you mean to say everyone to the right of HRC? I reckon he did mean that. I've changed it. Thanks! For the forces of PG it doesn't matter at all whether Breivik got what he wanted or not. What matters is only whether they can use it to their own advantage, i.e. "Never let a crisis go to waste." Day by day the massive, informal international PG cultists pro-aggressively build an ever-threatening narrative and attempt to demand greater compliance to their will. aquaint themself with the following humorous description of the postbreivik situation in Sweden. The Santa Claus of the redstockings. The silly-leftists Aasa Linderborg, Maria Sveland and Göran Greider and others from the outer left wing are still high on the drug Breivik. No ideological enemy of theirs is too insignificant to escape being soiled with allegedly sharing his or her world of ideas with that of this mass murderer. Perhaps the site is under attack (DoS-D), as was the German PI a week ago. Both sites are a pain in the a-- for the xenophilic leftmaffia and the muslims. "novelist Jostein Gaarder along with Professor Thomas Hylland Eriksen published an op-ed in The New York Times entitled “A Blogosphere of Bigots,"...stating that “The global Islamophobic blogosphere consists of loosely connected networks of people — including students, civil servants, capitalists, and neo-Nazis.”"
How can two prize lefties be so incoherent that they place two of their biggest constituencies - students and civil servants (the brainwashed youth and minions of the beloved State) with the hated capitalists and Nazis? The composition of the OWsers (Occupy Wall Streeters) is overwhelmingly made up of gormless students and unionized government workers. It's truly a Mad Mad World run by Lefties who cannot keep even their own platoons straight. "A founder of so-called “peace and conflict studies (...)apologist for brutal and repressive Communist regimes during the Cold War, but seems to hate the USA and capitalism. Galtung looks forward to the possibility that Europe could become Islamic (...) “Peace” to him appears to be identical to submission, just as it is in Islam. Lars Gule, the former head of the Norwegian Humanist Association, has been among the most aggressive in attempting to blame critics of Multiculturalism and Islamization for Breivik". Note two of the code words meaning communist in any organization's title: "peace" and "humanist". And whom do they promote?...Islamic supremacists, source of 100% of the terror in the world today. David Horowitz dubbed this the "Unholy Alliance" between leftists and Islam. Of the two, the giant supremacist cult of Islam is more coherent. They are using the leftists as gate openers to the West and when in a position of power will dispose of any who do not convert or who are sincere about the usual leftist pet projects of feminism, glorification of blacks and other non-whites in multicult, abortion on demand, sexual libertinism and gay activism instead of understanding these are mere facades to enlist useful idiots for the single cause communism. It's the leftists who are utterly incoherent. If they think they can use Muslims as a battering ram to destroy the West so they can rebuild their communist Utopia on the rubble, what makes them think Muslims will fold their tents and silently steal away leaving decadent leftist dhimmis in charge? If leftists think they will co-rule over a peasant class then they are truly ignorant, as there is no instance of born Muslims giving any power to mere converts. If communists think they can outfight the Muslims eventually, then they haven't noticed the wimpiness of their useful idiot followers: women, students and gay or just emasculated men who would all faint at a broken fingernail. So in the Unholy Alliance, it's the Left that is the rear end of the donkey. Ironically, they will be saved only if conservatives manage to wrest the wheel from them and defeat the Left's Muslim allies, leaving us with the idiot Left. It's too bad the two scorpion totalitarianisms, cultural communists and Muslims cannot be made to fight to the death before involving the rest of us. "every single achievement of Western thought is now under threat by the same Islamic forces". don't you know that "western thought" was re-introduced to Europe via arabic translations of Aristotle. Do a bit of reading. "...don't you know that "western thought" was re-introduced to Europe via arabic translations of Aristotle. Do a bit of reading." Well then, you've solved it all, and the Baron can close up shop! In reality, Muslims have been very effective at propaganda about their faux religion and its violent acquisition of other peoples, cultures, and their accomplishments - mainly because Muslims readily torture and murder anyone who dares to contradict their propaganda. To be clear, Muslims lay false claim to the great achievements of others WHILE destroying as many of those achievements as possible. Muslims MURDER non-Muslims - and the ideas of non-Muslims. Muslims BURN libraries rather than preserving knowledge. Muslims BURN books rather than writing books. Any 'contribution' of Muslims to world knowledge happens in spite of Islam rather than because of Islam. Investigation reveals that Muslim 'accomplishments' derive from two sources 1) recent acquisition of non-Muslim cultures with their infusion of new capital, and 2) actions performed by non-Muslims or apostates (rather than 'devout' Muslims) on the periphery of the Muslim world - rather than in the midst of it where they would be persecuted as infidels. A Reverse “Camp of the Saints”? Cultural Enrichment: Money is no Object! Shariah Means Love and Peace and Big Hugs! Is Amazon Boycotting Geert Wilders in Europe? Dutch, German — Same Thing!